The sedition trial of Malaysian cartoonist Zunar has been delayed yet again to April 7, he reported via Twitter this week. After multiple delays while a separate challenge to the country’s Sedition Act is pending, the trial had been set to begin yesterday. If convicted on the nine counts of sedition for statements he made on Twitter, Zunar could face up to 43 years in prison. A previous challenge from law professor Azmi Sharom, also charged with sedition, held up the start of Zunar’s own trial for several months. 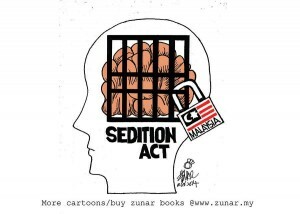 Azmi’s legal team had argued that the Sedition Act should be invalid since it predates the Malaysian constitution and independence from British colonial rule. In December, however, a five-judge Federal Court panel ruled that the law would remain in force. 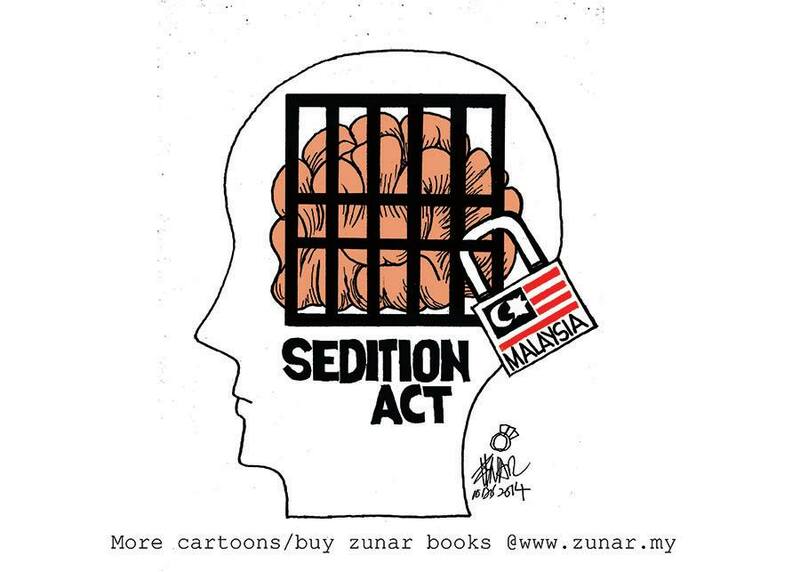 Dissenters like Zunar and Azmi say that Prime Minister Najib Razak’s government has selectively used the Sedition Act as a tool to silence opposition. Last month Attorney General Mohamed Apandi Ali withdrew the sedition charge against Azmi, which had been pending since 2014. Zunar’s trial was originally set to begin on May 20, 2015, but has now been delayed four times while courts await decisions on the Sedition Act challenges. Given this history, we wouldn’t be terribly surprised if April 7 also comes and goes with no judicial action, but we’ll be watching nonetheless! In the meantime, please take a moment to sign the International Federation of Journalists’ petition calling on the government to drop the charges. Cartoonists Rights Network International also provides a convenient form letter to send to Malaysian embassies.